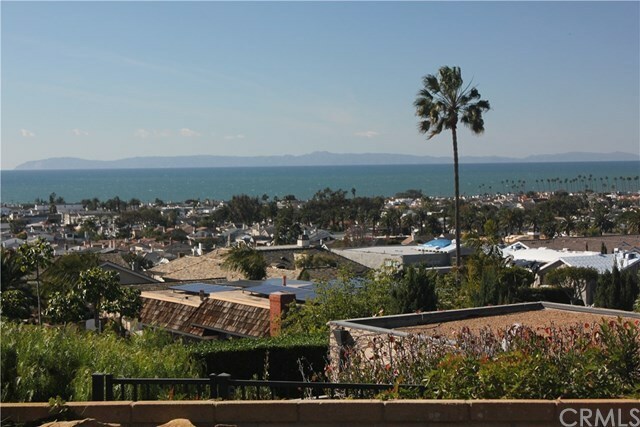 Panoramic Ocean, Catalina Island, Sunset and City Light Views! Fabulous opportunity to enjoy as is or to expand and take advantage of the oversized 11,000 plus sq. ft. lot. Single-story 4 bedroom, 2.5 bathroom home with a detached 3-car garage* and a large pool. The home has been freshly updated with new flooring, remodeled bathrooms and walls removed to take advantage of the 180 degree, sit down views. Situated on a quiet street that is nicely terraced creating beautiful unobstructed ocean and city light views. *the garage has been used as a room so some alterations are needed to convert back to a functional garage.